Home » » The Best of Batman DVD...coming soon! The Best of Batman DVD...coming soon! Synopsis: It’s the ultimate in villain-thwarting, Gotham-saving superhero action as the Dark Knight stars in 13 all-time fan favorite Batman animated episodes! 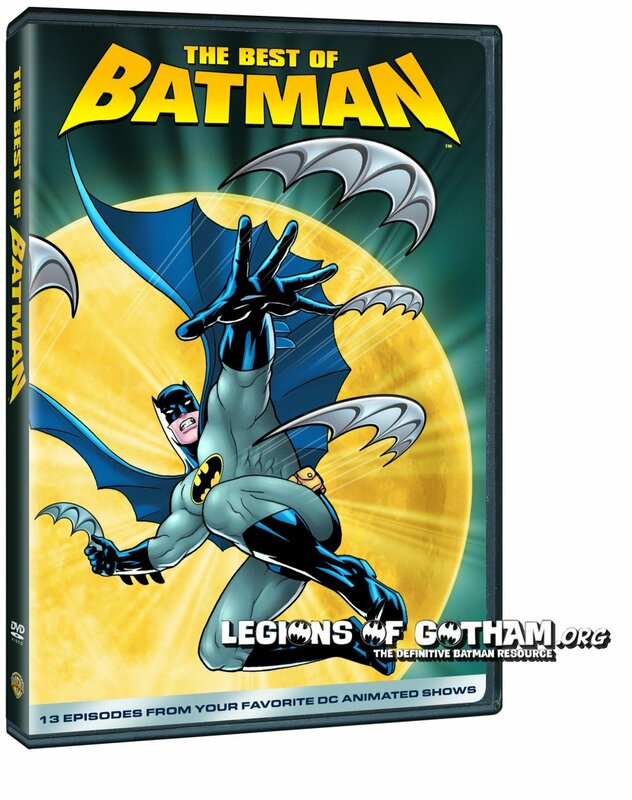 Together for the first time on DVD, these are the very best episodes chosen from multiple animated Batman series. In “Bane,” Batman faces the double threat of chemically enhanced uber-assassin Bane and crime boss Rupert Thorne. Then, “Avatar” finds the Dark Knight battling an ancient Egyptian sorceress unleashed by the fiendish Ra’s Al Ghul. In “Mad Love,” bad girl Harley Quinn falls for the Joker, with complications for the Caped Crusader that are definitely no joke. And that’s just the start of the richly animated, non-stop thrills loaded into this must-have collection featuring the best of the Bat! Thundercats "The Pit" Episode Video and Pics! Fringe gets renewed for a 5th and final season! Young Justice Season 2 Premiere "Happy New Year"
Win a copy of the Presidents on DVD! New Teen Titans Short Clip! Win a copy of Only In America: Volume 2 on DVD! Win a copy of Top Shot: The Gauntlet on DVD! Win a copy of Planet Egypt on DVD! Win a copy of Ice Road Truckers: Season 5 on DVD! New Beware the Batman Teaser Video! G.I. Joe - Series 2: Season 2 coming to DVD! Beavis and Butthead Plushies Coming from Funko! BATMAN LIVE Team Interview Video! Win a copy of War Horse on Blu-Ray! Make your own Batman or Joker Custom Figure! Win a copy of Shame on Blu-Ray/DVD!